Companies according to Clayton Christensen, go through different maturity stages. 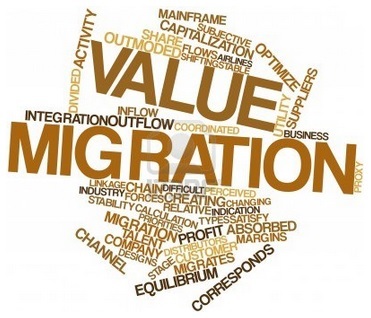 The value of a company migrates as it goes through different stages. And as a company is selling more and more of its products, what becomes valuable is not so much the product itself, the technology itself, but the ability to repeat, over and over again the production process. In other words, value migrates. It goes from ideas to products and then from products to processes. Now, given that processes derive their value from repeatability (the level of repeatability or predictability, is called “process capability”), defined as the repetition of a sequence of production steps over and over again, what does this mean for innovation? Is there not some kind of self-contradiction between innovation and processes? Is there not some kind of tension between the novelties that innovation introduces and the routine that processes come with? These are some of the questions that came to my mind when, several days ago, I sat down with Nestor Gismondi, the Director of Customer Development with R&G Global Consultants and CEO of Bluneo. 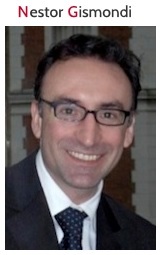 Nestor has developed an expertise in introducing innovation into well-established processes. A rigid process can be a jail to innovation! But a good process is one that evolves, continuously, it is dynamic, in encompasses innovation, continuously improving. Mastering a good process doesn’t hinder but fosters innovation, like mastering the fundamentals of football are not an obstacle for Messi, Maradona or Zidane to be creative in the field. On the contrary the fact of having first internalized to perfection the fundamentals, frees-up their minds to be more creative! Nestor mentioned that there are in fact different kinds of process innovation. Arguably the best known innovation process was created by Ford and Taylor. Here, top engineers think about sequence of production steps which are then implemented throughout the factory. Its a theory of management that analyzed and synthesized workflows. Its main objective was improving economic efficiency, especially labor and capital productivity (capital productivity was as important as labor at the time…). It was one of the earliest attempts to apply science to the engineering of processes and to management. Workers, and lower management… are asked not to think for themselves but execute according to the devised process. Companies are able to produce a quantity of goods that are similar to one another because they had adopted a specific kind of process which was repeated over and over again. 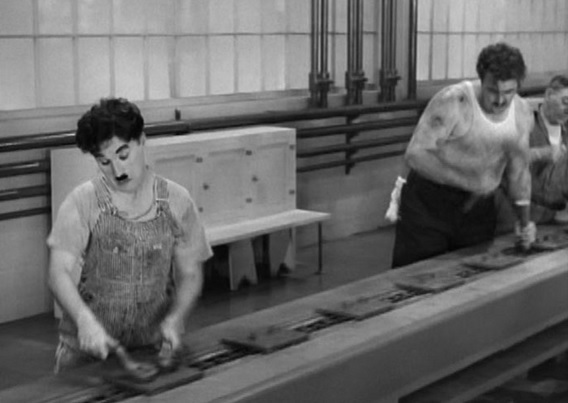 The video of “Modern Times” is very interesting because, in a second reading, it also shows the industrial drawbacks of the system. Have you noticed the badly adjusted bolts and other damaged parts resulting from worked exhaustion, speed and overall alienation? Not only innovation and collecting operators ideas is out of the question, but all those quality problems will end up in products that will have to be reworked, repaired, treated by customer service… the real cost will be several times the cost of producing a new one of good quality. Now we know that increasing the speed of the line is not the best solution, neither for the worker nor for the quality of the product and overall productivity of the factory. A productive factoy is not one in which we run faster but one in which we jog steadily, stopping every time it is needed. In the next post, Nestor and I will be talking about a new kind of process, in which an industrial leader sought to leverage the intelligence of its workers.